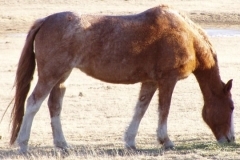 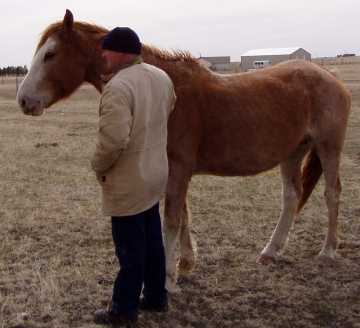 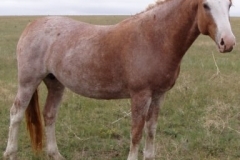 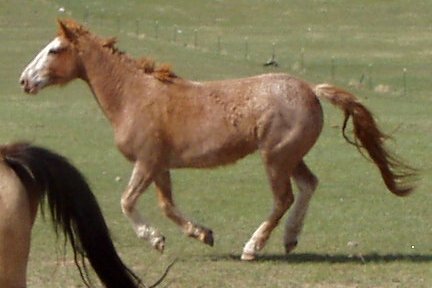 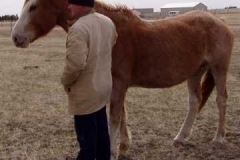 Fron is red roan sabino foal of 1997. 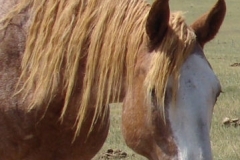 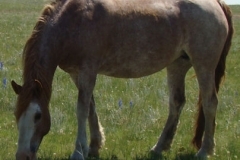 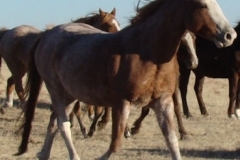 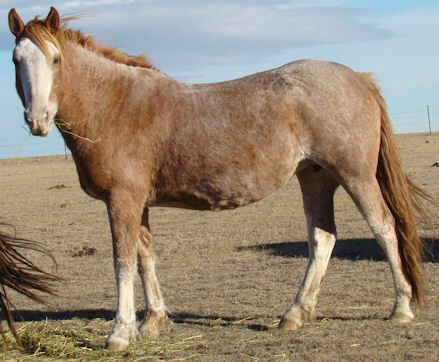 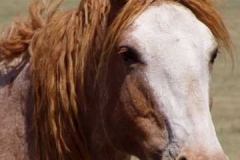 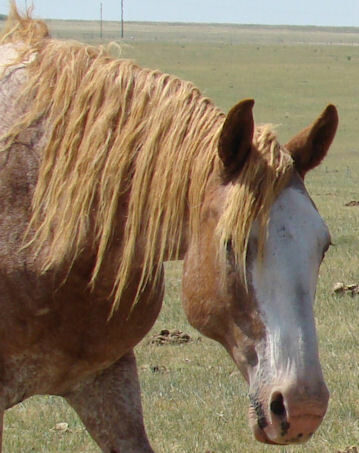 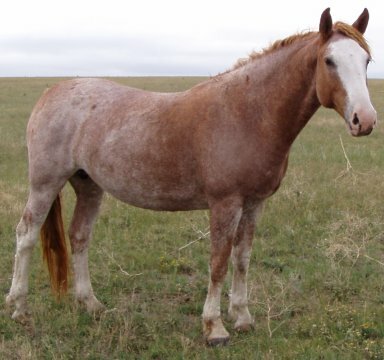 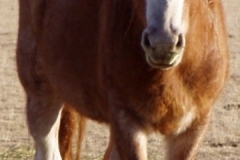 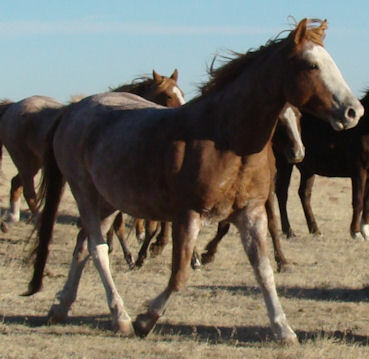 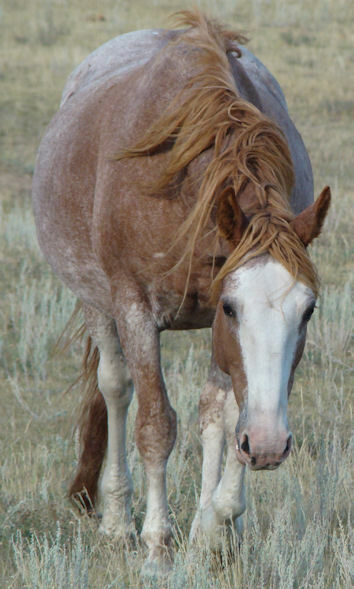 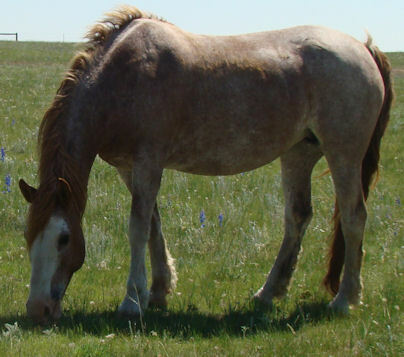 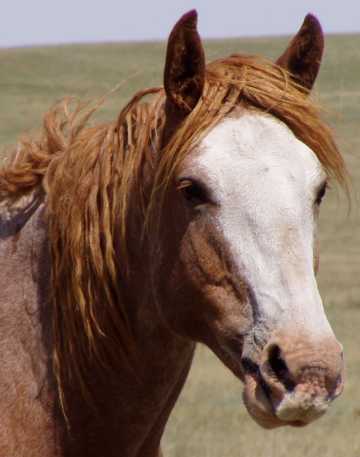 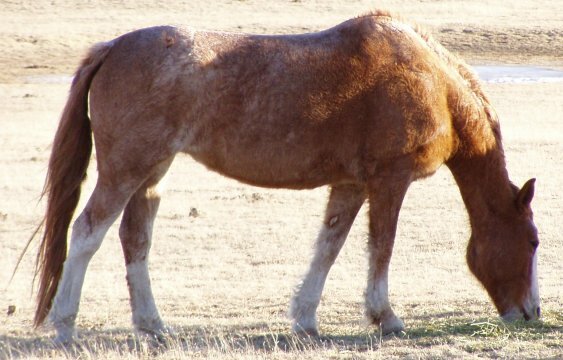 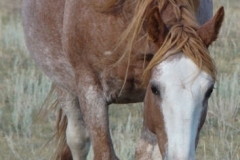 Her dam is a running Quarter horse type wild-caught Mustang mare whose foals consistently display gentle dispositions, agility and extreme quick-wittedness. 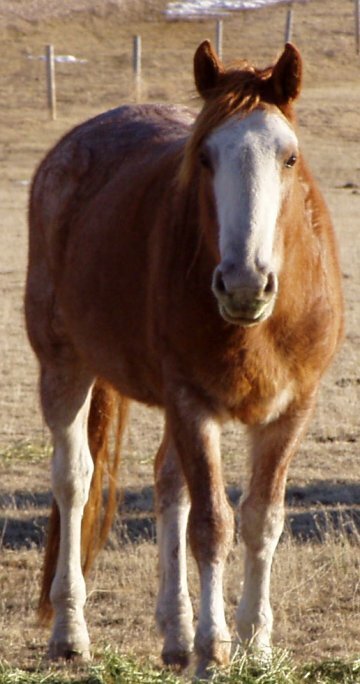 She stands at 16.0 hands. 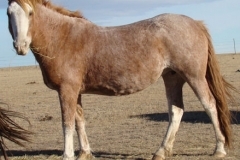 A proven Broodmare, Fron, would also make an excellent mount for someone seeking a solid mount.